Stand-Up Barrier Zipper Pouch with Bottom Gusset, a quality zipper pouch with 3/8" wide side seals on three sides. 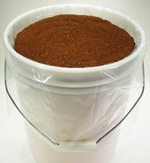 Obtain superb barrier properties with our barrier pouches with a variety of products, including food, pharmaceutical products, powdered mixes, photographic materials, foods, candies, coffee and much more. 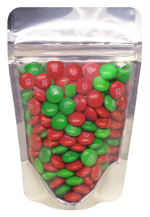 Easy-to-fill barrier zipper pouches stand upright for easy fill and display. Just insert contents, vacuum or heat seal to close and label. 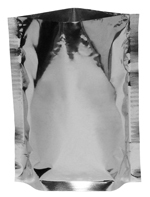 Our attractive, high clarity, easy-to-open, tamper-evident stand up barrier zipper pouches meet FDA and USDA specifications for food contact. Easy to use just fill the pouch with the contents and vacuum or heat seal above tear notches, located 3/8" above the zipper on each side of the extra-long 1-1/8" lip for a clean tamper-evident seal. Zipper pouches stand upright for easy filling and display. Labels can be added for a professional touch. 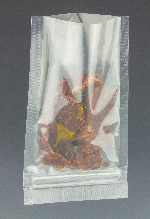 These stand up zipper bags feature 3/8" wide side seals on three sides. 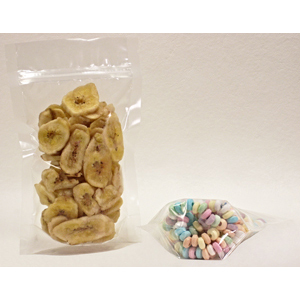 Pouches / bags can be opened and then resealed with the included zipper. Usable dimensions are slightly smaller. 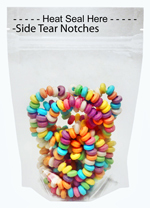 Size: 3-3/4" x 6-1/4" + 2" Bottom Gusset.